Tell Congress to Support Medicare Coverage of Counselors! Legislation has been introduced to allow counselors to participate in Medicare. NBCC needs your help to get this legislation passed! Contact your legislators TODAY and ask them to co-sponsor the Mental Health Access Improvement Act (S. 286/H.R. 945). Support from counselors like you is crucial to getting this legislation passed. Please use the link below to call and email your senators and representatives and tell them why this legislation is so important. NBCC’s Government and Legislative Affairs Department has created draft messages for you, but we strongly urge you to add your personal experiences with this issue to be more effective. It only takes a few minutes of your time and your support can make a significant impact on the profession! Thank you for your assistance! TAKE ACTION! 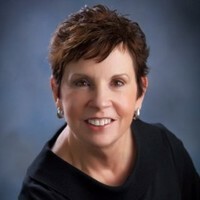 We have been informed that Donna J. Craig, RN, JD of The Health Law Center, PLC, has been approved by Philadelphia Insurance Companies (CPH & Associates) to represent their insureds in licensure investigations/administrative actions and subpoena issues. If you have any questions or issues to discuss with Donna, don’t hesitate to contact her at donna@healthlawcenterplc.com.